Ojai has had many unusual residents over the years that have brought the attention of the outside world to our little valley. Recently, “Earth Friend Gen” got a lot of attention by stripping down to nearly nothing and roller skating through Ojai. But “Earth Friend Gen” was not the first resident to bring fame to Ojai by roller skating naked around town. That honor goes to a talented pachyderm named Tarra who, along with her owner-trainer Carol Buckley, lived in Matilija Canyon during the late 1970s and early 80s. Tarra starred in “Little House on the Prairie”. Tarra and Carol met in Simi Valley in 1974 when Tarra was less than one year old. Carol was a student in the Moorpark College animal training program and Tarra had just arrived from Burma. They soon became a much sought after performing team and moved to Berry Flats, up Matilija Canyon, in 1979. For ten years Tarra, Carol and a host of adopted family members, including dogs, goats, cats, birds — and for a short time a horse and a mule — made up Tarra’s family. Matilija Lake, the Ventura River, and surrounding wilderness were Tarra’s playground. Tarra, the world’s only roller skating elephant. Soon after moving to Ojai, Tarra became the world’s only roller skating elephant. Her celebrity took her around the world, always with Carol and her family in tow. Tarra and Carol in Matilija Canyon. Tarra and Carol left Ojai in the late 1980s. In 1991, Tarra was successfully bred in Ontario, Canada, but at the end of a two-year pregnancy, Tarra delivered a stillborn calf. In 1995 Tarra retired from entertaining audiences. She gave up roller skating, but continued with another hobby–painting. Tara’s original watercolors have been featured in exhibitions around the world and now hang in many zoos across the country. 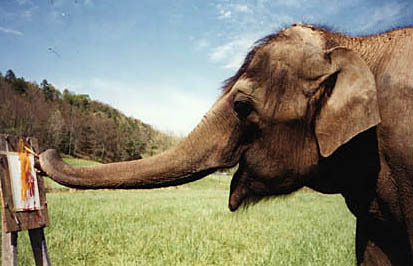 To give Tarra and other elephants a home, Carol created the Elephant Sanctuary in Tennessee. 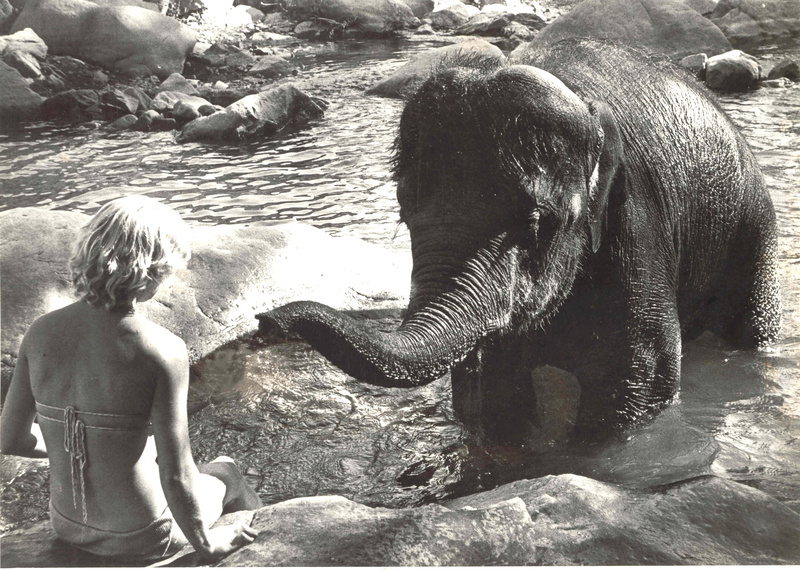 Carol, the elephant’s lifetime companion and guardian, gave Tarra full credit as the inspiration for the Sanctuary. According to Carol, “Life was like a fairytale, with 23 elephants joining Tarra over the next fifteen years. 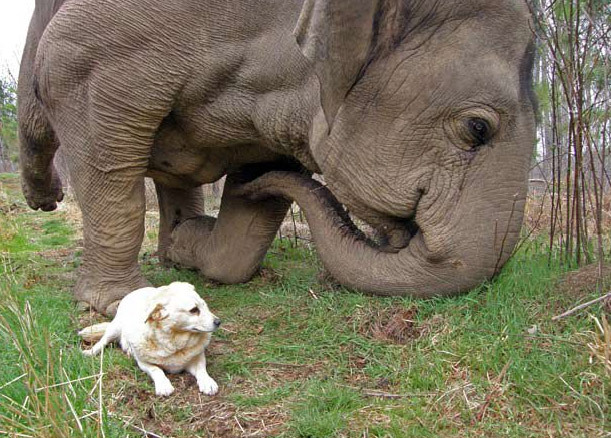 Tarra thrived, developing close bonds with her sister elephants, caregivers and one special stray dog named Bella. These two became inseparable.” The relationship between Tarra and Bella was covered extensively in the media, including a CBS special with Katie Couric. In 2009 a power shift at the Sanctuary resulted in Carol being fired and denied access to Tarra. Recently, tragedy struck again when Tarra’s dear dog Bella was killed by a pack of canines. Tarra struggles to deal with her loss. Today the Sanctuary Board still refuses to allow Carol to visit Tarra, leaving Tarra to wonder whether her oldest friend has abandoned her. Carol hopes that this will not be the end of the story. Tarra and Carol have shared a relationship like no other, nearly four decades of love and support. Carol wishes only that she would be allowed to see and comfort her dear Tarra in her time of need. After being ousted from the Sanctuary, Carol founded Elephant Aid International www.elephantaid.org to help needy elephants worldwide. Further information about Tarra and Carol can be found at Carol Buckley’s website, www.carolbuckley.com, and the Elephant Sanctuary’s website: http://www.elephants.com/tarra/tarraBio.php. Tara from Carol Buckley, Carol is her rightful GUARDIAN. Animals are legally considered “property.” This disgusting aspect of the law seems to be what TES board and administration embrace. The loss of Carol to the sanctuary SHE created is such an INJUSTICE. William Pucci said it perfectly: “The TES stole Tarra and the Sanctuary from Carol.” In the U.S. you can start a humane project in the form of a non-profit, like Carol did, take nothing for a salary, then lose it to the ?? ?-minds of board members. Very curious why TES hasnâ€™t posted 2010 financial information on their website and instead only post 2009 financials for when Carol and Scott ran TES http://www.elephants.com/reports.php. $12 per hour was what they paid themselves (pg 7) to run this incredible project. 2010 was when Carol got ousted. Where are the financials for 2010? Anybody know? In about 1967 or ’68 (I was 16 years old), I was asked by my younger buddy, Joe Silvestri, to drive my ’49 Chevrolet pickup to the Selby ranch on Upper Santa Ana Road near Lake Casitas to pick up some bales of hay for his sisters’ horses. We got there and loaded a few bales into the small bed of my primer-red pickup. Then, Joe told me he wanted to show me something. He led me into an old wooden-sided barn and, to my surprise, there was a baby elephant in a straw-lined horse stall that was lit with heat-lamps. 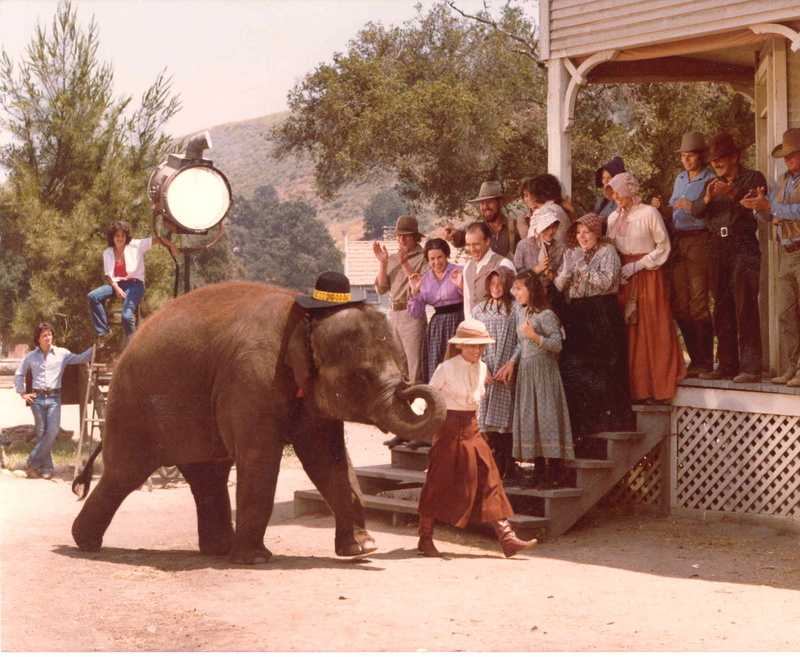 I remember it seemed almost surreal seeing the elephant standing there in a barn. Evidently, Ol’ Man Selby had always wanted an elephant, so his kids bought one for him. I have no idea whatever became of that baby elephant. So, Tara was not the first pachyderm to inhabit the Ojai Valley. As a kid growing up in Ojai I also saw Tarra, My brother and I had sent her story to an old TV show Called “Real People”. They came out to film her and we both got a T-shirt for it. This started out the most beautiful story, then brought tears to my eyes. People don’t realize how important humans are to them and Carol should never have been taken out of Tara’s life. It is so sad because Elephants are the closest creature to a human and their emotions are probably stronger than ours. Carol should NEVER have been taken away from Tara and now that Bella has been tragically killed, Carol should see her for sure. It would give her a sence from her past and bring loving memories that might ease the pain from losing not only one best friend but 2…. I would appeal that garbage and at least allow her visits!!!!! Just my 2 cents!!!! Nice article, brought back lot’s of pleasant memories. Tarra and I lived in Ojai for nearly 10 years. During that time we spent many hours hiking around Matilija Lake. It was a quiet place and usually not a person in sight. Our entire family always tagged along, which at times included dogs, African pygmy goats, a miniature donkey and, for a short time, a quarter horse. It was quite a scene when we dashed across Hwy 33 and ran up the steep one-lane-road leading to Matilija lake. What really surprised the occasional passerby was that none of the animals were on leashes. Not even the horse. As far as Matt Meiner’s comment “Tara was skating DOWN that hill!! There were 3-4 guys on horses with ropes holding her back …” Well, people always did get quite excited whenever they saw Tarra and her menagerie. But, I can tell you that Tarra never skated down that hill, or any other hill for that matter. And there were no guys on horses with ropes holding her back. But, it makes for a pretty funny story though. It is heart warming to see so many people remember Tarra fondly from so long ago. One thing we always regretted was not being able to appear in holiday parades in Ojai. Holidays were our busy season and we were always out of town working. But, one year in the mid 80′, a young African elephant named Akili stayed on our property while Tarra and I performed in the Big Apple Circus in NYC. When Akili walked in the Ojai Parade that year, many people mistook her for Tarra. So sorry to read that you and tarra were forcibly separated. We’ll never forget when you brought tarra (while still small enough) into our skating rink in Rohnert Park ,Ca. For an exibition. My daughter got a ride on tarra and never forgot, and since has ridden about anything with 4 legs…great memories, thank you..
Can’t understand how those devils could steal Yatra away from you. Criminal charges should be brought against them. So sorry for how much you must hurt.